I find the definition of theology as “The Study of God” to be too obtuse to be useful. I define theology in a more acute form (yet careful to avoid being myopic) as follows, Theology is the talk, conversation and discussion of the people of God about what God has spoken of revealed. So whenever I use the term theology it will be helpful to remember my definition in order to understand what I am trying to communicate in these articles. We can identify “in the safest of ways” theology to be what we say and think about what he has said if we understand that God has spoken first and not man. I say “in the safest” of ways because it is the practice of some to forget that all men interpret what God has said and in doing so lift their own talk of God to the very Word of God. There are six general lenses’ through which we can see theology. There are other metaphors to use for the sake of understanding. I suppose I could also say that there are six general rooms of theology within the household of what God has said. But for the purposes of this article a lens as an analogy will work best. 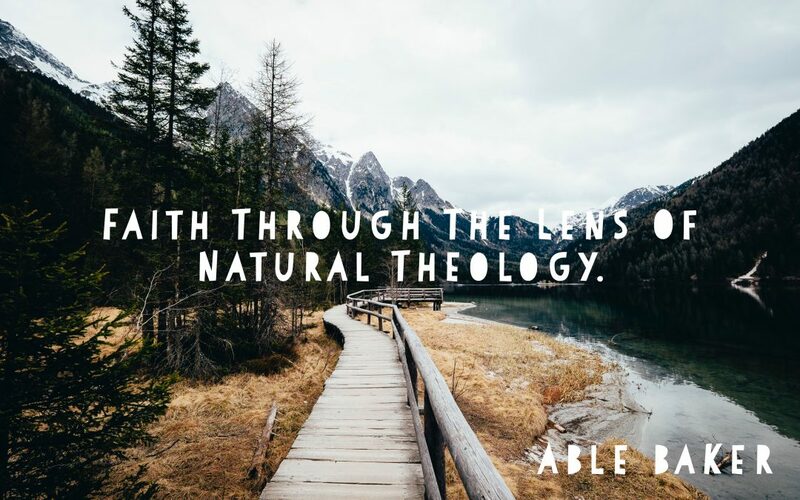 The first theological lens we will look through is Natural Theology. This lens helps us to observe what God has revealed to us of himself through His creation as Creator. The second lens Biblical theology. Through this lens we observe what God’s people say about what God has said or revealed in the Holy Scriptures. Our third lens is Historical theology. Through this lens we see what God’s people have said about what God has said or revealed in the Holy Scriptures throughout time. The fourth lens is Systematic theology. Through this lens we observe what God’s people say about what God has said or revealed through his Word about a particular topic. Dogmatic theology is the fifth lens. Through this lens we observe the “whys” and “why not’s” of what we believe God’s people have correctly said about what God has said or revealed through his word. The final lens is Practical Theology. We observe through this lens how the things God’s people say about what God has said or revealed about can apply to us in our day and in our way. It is the task of practical theology to be broad enough in scope to that it serves all the other theological lenses. I am currently using all six of these lenses to teach my congregation the Apostles Creed during our adult Sunday-school class. Through this study we will observe the topics of Faith, God, Creation, Jesus, Salvation, Spirit, Trinity, Church, Sacraments, and Heaven through each of the six theological lenses. What is belief or faith? The apostle creed opens with the phrase “I believe in God…”. I want to examine the topic of belief or faith through the lens of Natural Theology. In the coming weeks I will be examining belief through the six other lenses as well. So a better question for us in this article is “What do God’s people say about what God has revealed to us about “belief” through the lens of His creation? “The whole universe as God’s creation is really something that needs explanation”. This thought is the very heart or motive of looking through the lens of Natural Theology. “What is the universe?”, “Who made it?”, “What is it made of?”, Or Maybe, “how was it made?” These are all questions that compel people to look to nature for answers. To the Christian however we look to nature or creation to find or learn something about the nature of God. As Christians we ultimately find all the answers to our questions (who?, what?, when?, where?, why?, and how?) in Creator Jesus and not the creation itself. From scriptures like Romans 1:20, Psalm 8:3, Psalm 19:1 and Psalm 33:6 we find examples of what it means to look to creation to learn something of God’s character. Sometimes our observation of creation builds up and reinforces our belief in God and perhaps even praise! We use our abilities to reason and interpret our surroundings as Christians to paint for ourselves, using broad brushstrokes, pictures in our minds of who God is and what he must be like. All of our senses are at play in this realm of Natural Theology and in a sense our faith can be built up because we find God to be much more real or tangible through the lens of Natural Theology. But there is a problem. Roman’s 1:21-23 paints for us a pretty bleak picture concerning the condition of people and their ability see, comprehend or understand the true reality that surrounds them and much less God. In other words our ability to reason is broken and because what Natural Theology requires as a form of God to man communication relies so heavily on observation, interpretation and application our inability to clearly reason makes this this lens a very limited tool in which to fully observe God and truly believe. The most that a person seeking to build up his or her faith could hope to find is a very general revelation that there is a God, there is a creator or grand designer. But because of the condition of our hearts and minds we cannot hope for much more than a very general peek at God. Pantheism meaning, “all is God” is the “belief that God and nature are the same thing”. Panentheism means “all in God” and it’s a bit different from Pantheism in that it says, “the universe is contained within God’s nature”. Christians have always believed that there is a distinction between creator and creature. Through the lens of Natural Theology we see that our belief in God is distinct from many other religions because of this transcendent God. This distinction is because we do not see God as one who lives in nature or nature as something that is contained in God. We see nature as something separate from the creator and his creation is not something to be worshipped. Roman’s 1:21-23 gives us clear understanding though that man is prone to forgetting the Creator/Creature distinction. 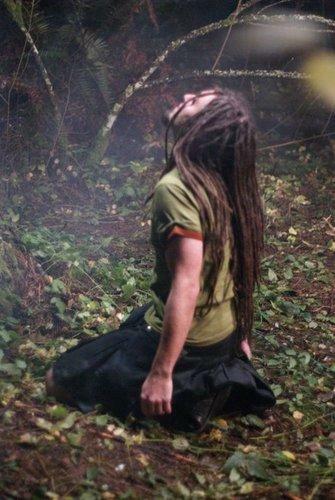 We see that faith and belief can easily be misplaced and mankind can “miss the forest for the trees” so to speak. Earlier I said, “The most that a person seeking to build up his or her faith could hope to find is a very general revelation that there is a God, there is a creator or grand designer.” I also pointed to some non-Christian belief systems that see Natural Theology to be the most precise revelation of God, namely Pantheism and Panentheism. But now I want to direct the focus back on some concerns that I have with some directions Natural Theology is going in and among North American evangelicalism today. Many folks feel that if it is observable to the basic senses a thing is more real. Many today argue that God is not observable so he is not real. Natural Theology does help to provide Christians with useful language and insight for their belief or faith in God because through it they can point to a designer in a very general way. This is a great way to respond to the non-religious naturalist or atheist materialist that only sees nature and really that’s about it. Modernity says that any truth arrived at by reason is somehow more true than any truth arrived at by things like faith or religious belief and the traditions/stories/lrgrnds that support it. Modernity as an intellectual period in time was born from the “Age of Reason” or “Enlightenment”. Things like “rationalism” and “empiricism” were ideas that began to rule the world thanks to modernity because of the tangible products they brought to our culture. Rationalism is defined today as “a belief or theory that opinions and actions should be based on reason and knowledge rather than on religious belief or emotional response.” While empiricism is defined today as “the theory that all knowledge is derived from sense-experience.” Just think of Kangaroo Jane from the Dr. Suess story “Horton Hears A Who” to understand the empiricist’s way of thinking. Because the world began to reject “supernatural explanations” of things Christianity especially evangelicals like the great Princeton Charles Hodge (1797-1878) began to fight back by reestablishing theology in general as a Science. Hodge would define theology much differently than I would. To Hodge theology was something a kin to the scientific study of God. Hodge wrote his Systematic Theology with the idea that just as the natural world can be know by reason so it is with God. Hodge wanted to re establish Theology as a science to a world drunk on what it can accomplish via it’s own ability to reason. Hodge shows that theology is a science just like every other science. But is it really? Without knowing it (I assume) Hodge actually hurts the witness and revelation of Christian theology by making man the revealer of God by means of reason and discovery and God some kind of “hide and seek” artist. Karl Barth was completely opposed to this rise of empiricism, and rationalism. Theology that was once high, majestic and mysterious had been reduced to bite sized pieces of nothingness because of rationalism and empiricism. God talk had now been reduced to “common sense” and nothing really miraculous at all. Common sense, empiricism, rationalism and reason had joined together to make Jesus nothing more than a cool guy that said really wonderful moral stuff. Jesus was not miraculous and any miracle could be explained via good solid reason. Natural Theology had become a more relevant and tangible source for the church’s theology among Karl Barth’s contemporaries. Faith, for much of the German church was no longer essentially connected to believing in the miraculous Jesus who was the Christ. The Gospel was no longer the miraculous life, death resurrection and ascension of Jesus. Jesus was no longer God’s specific and most important revelation that office now belonged to man and what man could discover via common sense and science. Common sense had kicked the creator off the throne and placed the creation in its place all over Europe. In Germany however Natural Theology as savior to a vast majority of the German Church created a perfect environment for Adolf Hitler to win over the Christless church, as it’s new messiah. This new Christless god of the church was ethnocentric, power hungry and money hungry. The church lapped it up like a cat in milk. People became the objects of unspeakable scientific experiments all in the name of science, nature and its generic god. Because of Germany’s national people’s church’s veneration of Natural Theology, and common sense modernity over and above God himself Karl Barth moved into action with his deeply Christocentric theological ministry that resulted in his “Dogmatics”. Barth took an extreme position against Natural Theology because of the extreme nature of the time. Why is all of this important? What does this have to do with belief and its relationship with Natural Theology? As I said before I have some concerns for North American Evangelicalism. I am concerned that rather than using Natural Theology as an expression of our belief in God to the scientific community in their vernacular for example we are using it to try and save them. Pop-Evangelicalisms infatuation with young earth creationism is really a great example of how lines between Natural Theology and Biblical Theology are being smeared because of a good old-fashioned “common sense”, plain reading of scripture. It is essential by some in these camps that if one “denies” a literal 7, 24-hour day creation they are denying the Gospel itself! Somehow the “science” that Ken Ham and others are doing is considered by many evangelicals to be the work of the Gospel. I am actually not opposed to the theory of a literal 7-24 hour day creation. I think it’s wrong but I’m not against reasonable and different interpretations of the Biblical data. I am against tying science to the Gospel. Claiming that a T-Rex lived side by side with humans is cute until a person tells me I’m not a true Christian unless I believe it. Natural Theology is an amazing lens in which our faith can be magnified and God can be worshipped but it cannot save. Trusting in Natural Theology will not bring someone into union with God in and of itself no matter how hard Ken Ham tries. Natural Theology does not shed light on the person and work of Jesus. What Karl Barth reminds us is that God was in Christ (not our ability to reason) specifically and personally revealing himself to us (2 Corinthians 5). This is not a general revelation to be discovered like Natural Theology this is a very specific and salvific revelation that encounters. Natural theology might magnify faith but it should never become the object of our faith. It is one thing to use Natural Theology to express ones faith in different vernaculars like perhaps to those within the scientific community for example. It is not the task of Natural Theology to convert or provide a reasoned defense of the faith… if our faith in God is NOT CAUSED by Natural Theology’s revelation of God. If Science were to say “there is no God”, Who really cares? God has not chosen to reveal himself distinctly and particularly through nature alone or the language, our genetic code or on some distant star. The distinction of our faith as Christians is in and of the revelation of Jesus Christ. It is in and through God’s revelation of himself to us through Jesus Christ that we have union with Him. There is no other way. It is not enough to just believe in God or believe that he exists. James 2:19 says that the demons believe in God. So there is more God requires of our faith than just mere agreement concerning His existence. We will cover this more through the other lenses of theology. As we observe God through the lens of Natural Theology using our senses and our ability to reason let’s consider a great thought from one of Christianity’s great Natural Theologians Alister McGrath who says, “Faith is beyond reason but not contrary to it”. 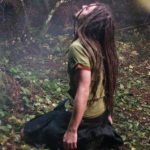 After posting this article I received a great question from a friend on facebook regarding Panentheism. I wrote an article in response. Follow this link… Panentheism. Drop It, Keep It or Redeem It?